Title: 05/16/1990 - Application of the HCS MSDS requirements to distributors selling hazardous chemicals to consumers and employers. Question 1: For what purpose does the following OSHA declaration serve: "If retail distributors do not sell to employers they do not have to handle the MSDSs"? Under the current rule, distributors of hazardous chemicals must provide material safety data sheets (MSDS) and updated information, per paragraph (g)(7) of the HCS, to other distributors and employers. OSHA has no authority, under the Occupational Safety and Health Act of 1970 (OSH Act), to prescribe or enforce regulations that affect situations outside the Agency's jurisdiction, e.g., OSHA cannot require distributors to provide a MSDS in a non employer-employee situation. Question 2: Aside from the fact that you have no jurisdiction on consumers, there appears to be a "stronger than normal" emphasis on eliminating them from the ruling. Why? The reason, again, that the HCS does not apply to consumers is that OSHA has no statutory authority to regulate safety and health situations outside the workplace. Question 3: Since you have no jurisdiction over normal consumer usage levels, please explain how one crosses the line from one to the other and how do retail distributors know that it has been crossed so that the distributors may then supply the employer with an MSDS? 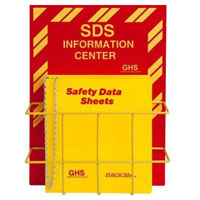 More facts: In many places, OSHA has stated that distributors of MSDSs only need to hand out one copy with the first shipment and another copy when the MSDS is changed. The hardware retail distributor has about 3,000 items that are probably covered by MSDSs. There may be just a few or there may be thousands of employer type customers. OSHA has stated also that the purpose of "only" distributing MSDSs as mentioned in the first sentence of this paragraph was to conform to an apparently easy method of distribution. Short of an actual computer and the monitoring of "every" sale of all products for determining the MSDS status of both the product (Is this an MSDS item and does it have an updated MSDS?) and the employer (Has this employer ever purchased this item, and if so, has he received a current MSDS? ), there is no practical method of complying with the mandate for retail distributors to carry and monitor MSDSs and their ultimate distribution. Retail distributors who sell hazardous chemicals to employers must provide a MSDS upon request, and must post a sign or otherwise inform employers that an MSDS is available. In other words, an employer purchasing chemicals for his workers to use at his worksite is responsible for asking for the MSDS from the distributor. This must only be done, of course, if those workers will be using the "consumer product" in a manner that results in a duration and frequency of use and therefore exposure greater than would result from normal consumer usage. According to the discussion of this topic in the preamble to the HCS final rule published August 24, 1987, page 31866 of the Federal Register (copy enclosed), "The retail distributors likely affected are those selling building supplies, hardware, etc. Retail distributors will have to assess their product lines, and whether or not they have commercial accounts, to determine whether they must comply with this provision." On August 8, 1988, the Agency published a Proposed Rule on Hazard Communication in the Federal Register. In this publication, the Agency proposed certain modifications to the final HCS rule and provided further explanation on various requirements of the standard. As stated therein, OSHA believes it is reasonable to require the user of a hazardous chemical to request the MSDS rather than to have the distributor automatically provide one to all purchasers, some of whom may be non-commercial account users. A copy of the 1988 proposal is included for your information. We encourage you to review the discussion of this point on page 29838 of the enclosed Federal Register notice. Further on in your letter, (page 3) you also raised concerns about OSHA's definition of "commercial account," as defined in OSHA's Hazard Communication Instruction, CPL 2-2.38B. Again, for your further edification, you may want to review the Agency's discussion of this issue as provided on page 29841 of the enclosed Proposed Rule. Question 4: Has OSHA devised any guidance procedures for the actual distribution of MSDSs by retail distributors on a sale by sale basis, and the monitoring of which MSDSs has been given to which employers? We concur that employers have the responsibility to know what material they are working with and its MSDS hazard potential to employees. We also concur that employers should have the responsibility of maintaining MSDSs in the workplace. As indicated in our response to your third question (above), it is the employer's responsibility to request a MSDS for a hazardous chemical if his employees will be working with and therefore will be exposed to that chemical (see also our response to your question 7, below). As you know, distributors receive MSDS and label information from the chemical supplier(s) at the time of the first shipment of the chemical. The MSDS need only be sent again downstream if the MSDS is updated or changed to contain new or significant information about the chemical's hazards. Distributors also need only send the MSDS to the downstream user at the time of the initial shipment or at the time of the next shipment after the MSDS has been updated. These provisions are detailed in the HCS at section (g)(7). OSHA monitors MSDS availability and quality during inspections of the using employer's worksite; employers may rely on the data on the MSDS as sent to them from the chemical manufacturer, importer or distributor. If no MSDS is present then that employer is subject to citation. However, if the using employer, did not receive an MSDS from the chemical manufacturer, importer or distributor and he has demonstrated a good faith effort to obtain the MSDS from them (e.g., a letter or documentation of a telephone call requesting the sheet), then the using employer may not be cited for violation of section (g) of the HCS. If the distributor has failed to transmit the MSDS to the employer, the distributor would be subject to citation for violation of paragraph (g)(7), unless he did not receive the MSDS from the chemical manufacturer, importer or distributor. Certainly, requesting OSHA assistance to obtain an MSDS from the manufacturer, importer or distributor is also documentation of a good faith effort to obtain the required information. OSHA realizes that this requirement of the HCS to supply MSDS and labels to customers that you distribute hazardous chemicals to may have imposed additional paperwork burdens on you. However, as stated in the Standard, the unimpeded downstream flow of hazard information is key to achieving the goals of the HCS. 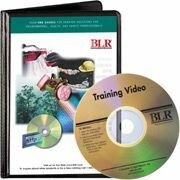 Distributors' transmittal of the MSDS and appropriate labels provide downstream employers with the information they need to inform and train their employees properly and to design and put in place employee protection programs. It also provides necessary hazard information to employees so they can participate in, and support, the protective measures in place at their workplaces. Question 5: Once an employer has a need for an MSDS, he should have enough time, or make the time, to order an MSDS from the manufacturer (or centralized MSDS source supplier) OSHA could economically devise and monitor a code number scheme that could include the exact product hazard and the latest revision of the MSDS for the item. This code number could be carried on the product along with the name and address of who is supplying the MSDS. Why has this option of distributing MSDSs been totally overlooked? Question 6: If the answer to #5 relates to "not within OSHA's jurisdiction," then whose jurisdiction can OSHA work with to devise a coded control number plan? As you are aware, it is the responsibility of the chemical manufacturer or importer to evaluate and compile all the hazard information known about the chemicals he produces. It is also his responsibility to transmit and update that information on MSDS sent to downstream users. It has been estimated that there are about 650,000 hazardous chemical products utilized in American workplaces, and hundreds more are introduced into the workplace annually. Chemical manufacturers and importers are the ones who perform the hazard evaluations on the chemicals, they generate or keep the data, they are the ones who know about their products and are therefore in the best position to provide and keep up-to-date the hazard information data required under the HCS. Many different options to this requirement were considered during the final rulemaking on the standard. The method required in the current rule was found to be the most feasible way of accomplishing the required information transmittal. Further, OSHA does not have the capability to perform individual chemical hazard evaluations and therefore the "code number" option on the MSDS could not feasibly be administered by the Agency. Again, the accuracy, timeliness, and distribution of information is the chemical manufacturer's responsibility. Since it has been estimated that 90 percent of all chemicals manufactured by or imported into this country are unique to a single chemical manufacturer (the party who, as stated above, has in its possession the required information about the chemical), the Agency's requirement that the manufacturer/importer be the one responsible for the completeness and distribution of accurate and up-to-date information is understandable. Question 7: This question is based on all of the facts listed above. Since OSHA considers hardware stores minimal exposure type businesses, why does OSHA give maximum responsibility inconsistent with the minimal exposure category? Again, as a distributor of hazardous chemicals, the requirements to transmit hazard information in the form of MSDS and labels, to assist in the unimpeded flow of hazard information to downstream users is key to achieving the goals of the HCS, and is a positive requirement of the standard at 29 CFR 1910.1200 (g)(7). Question 8: Referring to the above examples, how can a publication such as CPL 2-2.38B be called a guideline to "... ensure uniform enforcement ..." of the standard when the copier example contained within it is not and when it uses non-specific text? The examples cited in your letter are from discussions provided in CPL 2-2.38B on the standard's intent behind the "commercial account" and "office products/copying machine" examples of applications of the HCS. As referenced above in this letter, the Proposed Rule Federal Register publication provides a discussion on the Agency's intent behind and applicability of the commercial account provisions. With regard to the question you raised, i.e., how many times must an employee change the toner in a copying machine before that exposure is covered under the HCS, as you know, OSHA does not specify the point at which an employee would be covered by the standard. The HCS incorporates both specification and performance-oriented requirements which are result-oriented, thereby providing goals for achievement and allowing employers the flexibility to develop a program suitable for their particular facility. CPL 2-2.38B provides OSHA Compliance Officers guidance and interpretative language which will allow the Officer to consider whether the intent of the HCS provisions have been met. One difference between the HCS and other OSHA substance or hazard-specific safety and/or health standards is that much of the HCS is performance-oriented. This means that employers have the responsibility and the flexibility to adapt the rule to the specific situations in their workplaces, rather than having to follow specific rigid requirements. It also means that employers have to exercise more judgment in order to implement an appropriate and effective program. We hope these responses, and the information contained in the enclosed Federal Register notices, serve to be responsive to the concerns you raised. Please feel free to contact us again if we can be of further assistance. Attached please find a letter from the Ohio Hardware Association in Columbus, Ohio, which was received in the Chicago Regional OSHA Office on February 14, 1990. As their concerns regarding the Hazard Communication Standard and OSHA Instruction CPL 2-2.38B appear to have nationwide significance, as well as the potential for Congressional inquiries, we are requesting that the Office of Health Compliance Assistance respond directly to the Ohio Hardware Association. Representing the hardware retailers in Ohio, the Ohio Hardware Association has several areas of concern regarding MSDS's. We have received from your office copies of your responses to The Honorable Bill Emerson (3-3-89), The Honorable Bill Richardson (4-24-89, Attorney Robin W. Grover (12-5-88), and Katherine Davis (4-11-88). We have also received much literature on the subject of MSDS's. First of all, we fully appreciate the intent and use of MSDS's. It is the downline handling and distribution that concerns us. These concerns will be posed as facts with questions for you to answer. In this letter, the term "employer" means someone engaged in using his employees to work with hazardous material far more often than consistent with household application intended usage. The term "consumer" means someone buying a product for normal household duty usage. Facts: It has been stated that MSDS's do not have to be given to consumers. It has been stated also that if retail distributors do not sell to employers they do not have to handle the MSDS's. Items available for sale to consumers are items also available for sale to employers. What crystal ball has been created that allows this retail distributor to know whom his future customers will be? Since it is unclear as to whom the future customers are, it appears obvious that MSDS's must be available for every hazardous item sold. Question #1) For what purpose does the following OSHA declaration serve: "If retail distributors do not sell to employers they do not have to handle the MSDS's"? Question #2) Aside from the fact that you have no jurisdiction on consumers, there appears to be a "stronger than normal" emphasis on eliminating them from the ruling. Why? Question #3) Since you have no jurisdiction over normal consumer usage versus your jurisdiction for usage by an employee above and beyond normal consumer usage levels, please explain how one crosses the line from one to the other... and how do retail distributors know that it has been crossed so that the distributors may then supply the employer with an MSDS?. More facts: In many places, OSHA has stated that distributors of MSDS's only need to hand out one copy with the first shipment and another copy when the MSDS is changed:' The hardware retail distributor has about 3,000 items that are probably covered by MSDS's. There may be just a few or there may be thousands of employer type customers. OSHA has stated also that the purpose of "only" distributing MSDS's as mentioned in the first sentence of this paragraph was to conform to an apparently easy method of distribution. Short of an actual computer and the monitoring of "every" sale of all products for determining the MSDS status of both the product (Is this an MSDS item and does it have an updated MSDS?) and the employer (Has this employer ever purchased this item, and if so, has he received a current MSDS? ), there is no practical method of complying with the mandate for retail distributors to carry and monitor MSDS's and their ultimate distribution. We concur that employers have the responsibility to know what material they are working with and its MSDS hazard potential to employees. We also concur that employers should have the responsibility of maintaining MSDS's in the workplace. Question #5) Once an employer has a need for an MSDS, he should have enough time, or make the time, to order an MSDS from the manufacturer (or centralized MSDS source supplier). OSHA could economically devise and -monitor a code number scheme that could include the exact product hazard and the latest revision of the MSDS for the item. This code number could be carried on the product along with the name and address of who is supplying the MSDS. Who has this option of distributing MSDS's been totally overlooked? Question #6) If the answer to #5 relates to "not within OSHA's jurisdiction", then whose jurisdiction can OSHA work with to devise a coded control number plan? OSHA has the hardware retailer on a very low priority for inspections for MSDS violations which means OSHA will probably never visit a hardware store unless a complaint has been filed. Question #7) This question is based on all of the facts listed above. Since OSHA considers hardware stores minimal exposure type businesses, why does OSHA give maximum responsibility inconsistent with the minimal exposure category? The Washington DC office gave us a Chicago phone number and said to ask for OSHA publication CPL 2-2.38B. This publication "establishes policies and provides clarifications to ensure uniform enforcement of Hazard Communication Standard (HCS)." In several discussions with at least eight OSHA agents, there is a real difference of opinion as to how HCS is enforced. All of the agents agreed there were very specific guidelines to the standards. In most cases, each agent used CPL 2-2.38B and was able to interpret the publication to suit their needs. For example, CPL 2-2.38B, Paragraph K,7.b. 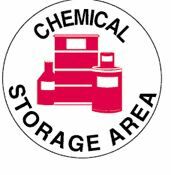 (1) states "A commercial account is one where a retail distributor has made an arrangement to sell hazardous chemicals to an employer, generally in large quantities over time and at costs that are below the regular retail price." The word "generally" is defined by dictionaries as "being without specifics". "Large" is defined as `dealing in great numbers or abundance" but does not have a specific number or quantity assigned to it. "Over time" is a phrase referring to a few hours, many years, or somewhere in between. "At costs that are below the regular retail price" can be interpreted to mean, if sold at full retail, MSDS's are not required The statement above has no defined value to be used as a specific guideline. Referring to OSHA CPL 2-2.38B, Appendix A, Section (c), the sixth paragraph titled "Employee" which states: "For example, a worker who occasionally changes the toner in a copying machine would not be covered by the standard. However, an employee who operates a copying machine on a full-time basis would be covered by the provisions of the HCS for any hazardous chemicals used." Is the employee still exempt from the standard if he changes the toner two times? What about three times? Or four times? At what specific point did this employee become sufficiently involved in the process to become covered by the standard? If an employee spends seven and one-half hours of his eight hours as a copier specialist, is he still covered? How about six hours? At what point is he no longer covered? Question #8) Referring to the above examples, how can a publication such as CPL 2-2. 38B be called a guideline to "ensure uniform enforcement..." of the standard when the copier example contained within it is not and when it uses non-specific text? Please expedite an answer to these questions as these are real concerns to our members.